Most small business owners are fighting each day just to keep their head above water. They tend to get stuck working in the business instead of working on the business. Most entrepreneurs know they need to be working on the strategic side of the business, but there are only 24 hours in the day, and they don’t know how to develop a strategy, so they just keep pushing along, hoping their checking account will magically increase. If this describes you, or if you think strategy is a waste of time, you need to consider the SMART goal setting method which will give you an action plan to grow your business, not just a “get more sales” mentality. Specific - First, your goals should be specific. This means you are answering the who, what, when, where, which type questions. You might tell your employees that the goal for the company is to “increase sales”, and that is it. The problem is this type of goal does not move anyone toward action. An example of a specific goal might be, “The sales team (Who) should increase sales (What) of our electronics product line (which), this quarter (When), in the Midwest region (Where)”. 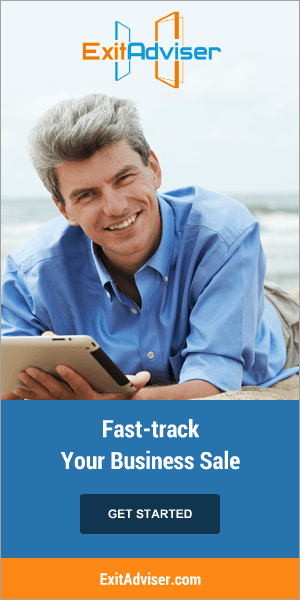 This specific goal should help your sales team move toward an action plan. Measurable - Next, SMART goals are measurable. In the example goal above the sales team is told to increase sales. Does this mean that if they sell one more unit they have accomplished their goal? Or should they strive to increase sales forever? Will they ever reach their goal? 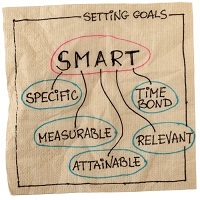 A SMART goal has concrete measures for the sales team to aim for. You should give your team a specific sales increase percentage to aim for, or a specific dollar amount increase so that they can measure progress. Attainable - Third, your goals should be attainable. If you tell the sales team to increase sales by 150% this quarter and they only increased by 3% last quarter, then you are probably out of touch with what is actually attainable. An unrealistic goal will not motivate you or your employees toward action; however, if the team believes it can reach the goal, they will likely work harder to attain it. A SMART goal should stretch the team, but it shouldn’t be so extreme that no one is even willing to try. Whether you have a team, or you are a solo entrepreneur, setting attainable goals is a motivator. Time-Bound - Lastly, a SMART goal has a specific time frame. Having a goal to increase sales by 150% in the Midwest means nothing without a date. Time also helps a team craft an action plan because they know how quickly they need to move in order to attain the goal. Develop a set of S.M.A.R.T. objectives now, and then hold yourself and your team accountable to these goals, and you will undoubtedly see an improvement in your business.